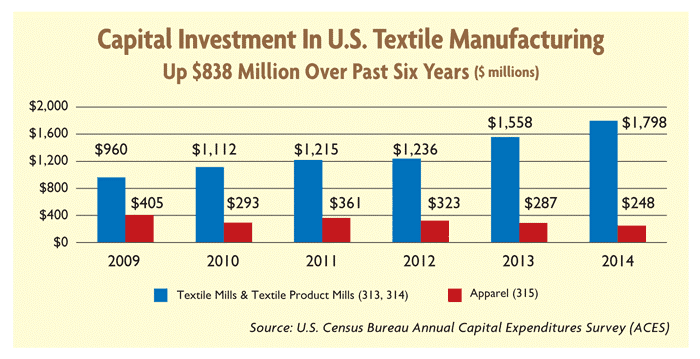 Investment in Textile Mills and Textile Product Mills has seen especially explosive growth, climbing from $960 million in 2009 to $1.8 billion in 2014 — an increase of 87 percent. In contrast, capital investment in Apparel is down $157 million, a decrease of 39 percent. The NCTO, in accordance with the statistics offered by the US Bureau of Labour Statistics as well as that given by the US Department of Agriculture, further informed that an estimated 579,300 people employed by the nation’s textile and apparel industry, along with its supply chain. Of these, the maximum of 184,100 people were employed for the production of cotton and wool fibres. 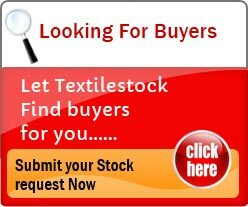 Of the rest, 136,800 were employed with respect to manufacturing apparels while a sizeable chunk of 116,400 people was involved in making various textile products such as carpets. A smaller but significant number of 25,600 people were involved in the production of artificial as well as synthetic fibres, along with filaments. Wrapping up the numbers, the fundamentals for the industry are sound. That does not mean, however, that the industry is free of challenges. The sector has begun to see changes in demand as the global economy struggles to grow. Downturns in the business cycle are natural to every manufacturing sector, and specific strategies are needed for weathering difficult market conditions.